Import your Zoho CRM contacts to Zoho Assist and get prompted each time you enter a email address in Zoho Assist. Navigate to Settings and choose the option Contacts under Remote support. 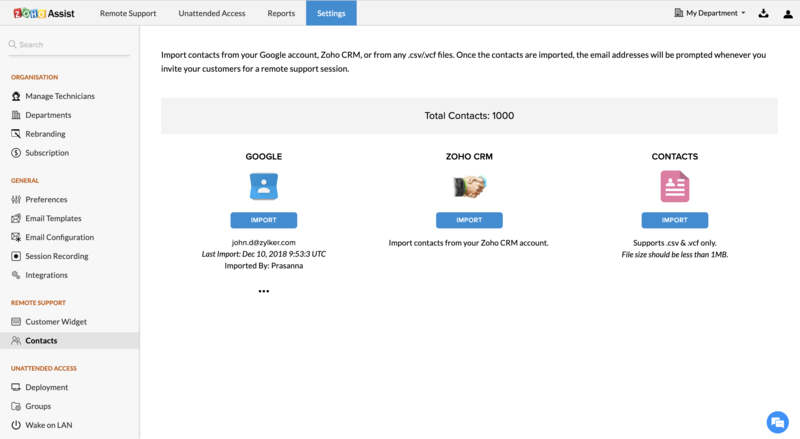 Click on Import under Zoho CRM to import your Zoho CRM contacts.